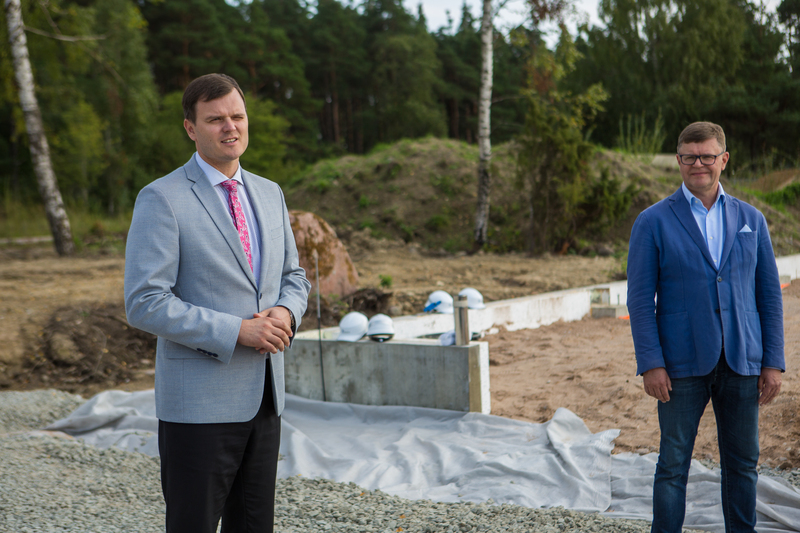 Today, the cornerstone of a 1200 m² embroidery center on Põlluvälja industrial park was set to place. Embroidery center will be ready by the end of this year. The event, which was also attended by the municipality governor Madis Kallas and council chairman Tiiu Aro, was covered by a leading Estonian news portal Delfi.